A 'Tough' Metzmama: Lasting Memories Of One Armenian Grandmother In Armenian, the word for grandmother is metzmama. Isabel Kouyoumjian became a metzmama after her family fled from the Armenian Genocide. For her granddaughter Joanne Nucho, she was more than that. 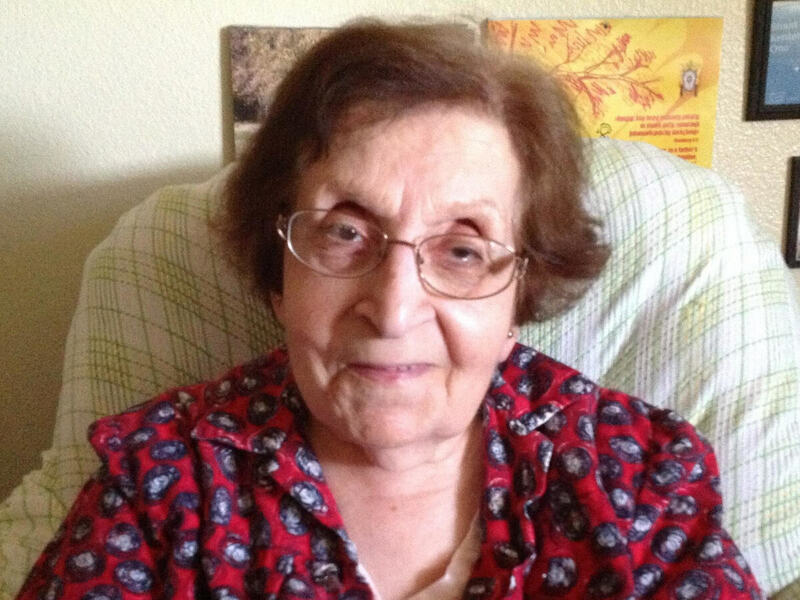 Isabel Kouyoumjian was a tough metzmama — that's Armenian for grandmother. Long before she was a grandmother though, Kouyoumjian was born in a refugee camp after her parents left the area now known as Turkey. They left around 1915, when they were fleeing the Armenian Genocide, which killed nearly a million and a half people. Kouyoumjian eventually immigrated to the United States and raised two generations of her family. She died last March, but Joanne Nucho, one of her granddaughters, still remembers her. "My grandmother was a large woman, but on the shorter side; she was just kind of round," Nucho says with a laugh. "She did not have much formal education, but [she] spoke and read five languages." Nucho remembers her grandmother as sweet, warm and loving, "but she had this really tough streak." 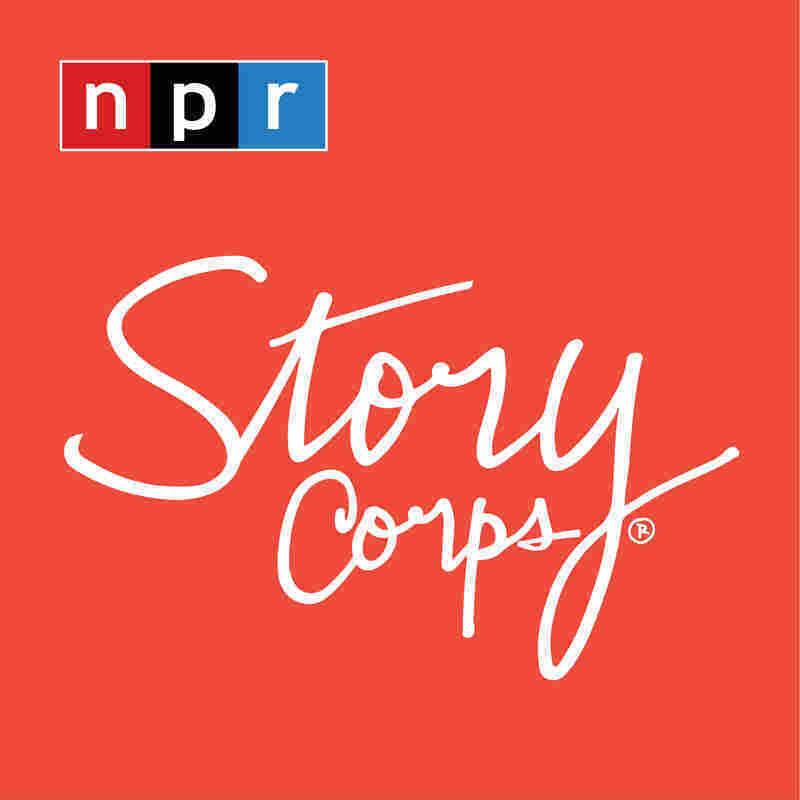 Joanne Nucho and her husband, Jeff Ono, at their StoryCorps interview. When Nucho and her younger sister needed a hero, their metzmama was there. "One incident I remember, we were kids and there was a lizard in the backyard. My younger sister saw it and screamed, so my grandmother picked it up and broke it in half with her bare hands. It was a mixture of being horrified but also really impressed," Nucho says. "I just thought that she was like a superhero." Kouyoumjian didn't smile much, Nucho says. Instead, she had a bit of a permanent scowl. What caused the scowl is unclear, but Nucho says she heard stories about how her grandmother raised two kids by herself. 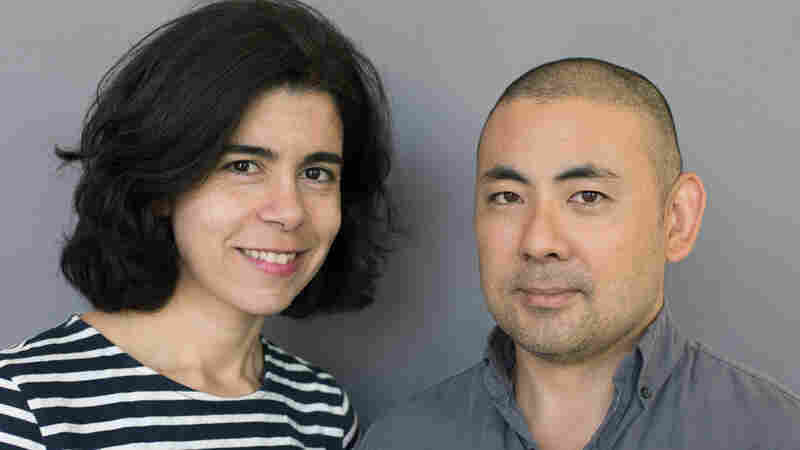 "So much of her ways of seeing the world were really bound up with knowing the ground could fall out from beneath you at any moment, and that she would weather whatever storm," Nucho says. Nucho's husband, Jeff Ono says that Kouyoumjian wasn't just a grandmother. "She was my best friend," Nucho says. "That last week when she was dying, I just kept telling her, 'It's okay to go. You've done your work. You don't have to fight this if you don't want to.'" Though Kouyoumjian had her superhero moments, that's not all Nucho misses about her grandmother. "I miss the little things, like speaking Armenian with somebody — not something I do very often anymore," Nucho says. "I miss feeling like there's this one person who really believes in me. It's something I'm trying to do for myself, but nobody else could convince me the way that she could. And there isn't really a replacement for that."